Georgette sarees are plain woven fabrics, accepting dye colours very easily. Georgette sarees are ideal and most comfortable wear in hot and humid weather. Aavaranaa has brought an amazing range of georgette sarees in vivid colour combinations. 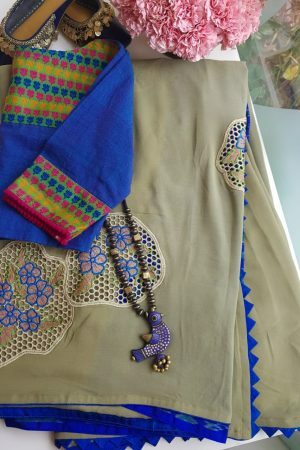 Our expert designers with their extreme creative talent have done great experiments with the material to bring out uniquely designed sarees for you. Thus, our list consists of a plethora of georgette designer sarees can be worn at different occasions. We also have cutwork on georgettes. 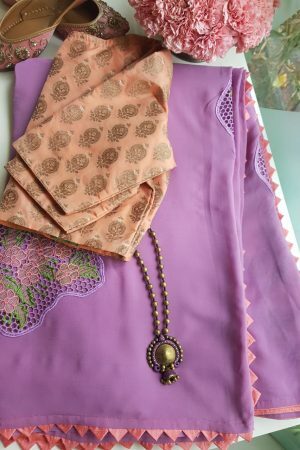 Some of the extremely gorgeous pieces are decorated with beads, sequins, and pearls that are perfect to wear at weddings and other traditional festivals and occasions. The heavily decorated pieces can be used for bridal attire as well. 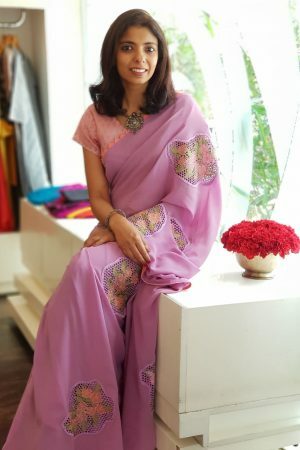 The office going women would love our collection of plain georgette sarees that you can wear to your workplace, and enjoy the comfort as well. 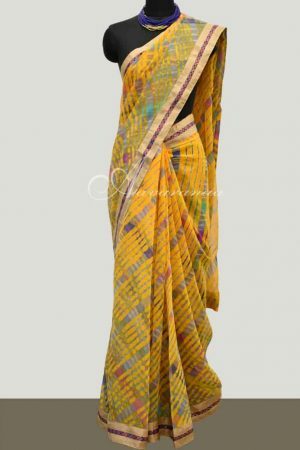 Our sarees are designed from natural silk, that make these drapes soft, smooth and airy. Also, the georgette sarees, available at Aavaranaa, are becoming the first choice of women for such properties as easy wash ability and maintenance. You can buy georgette sarees from us by placing an order online. Shopping at Aavaranaa is fun, as all the best outfits are available to you at fair rates. Also, it helps to save your time, and offers an option of delivering the product at your doorstep. Our collection of georgette sarees looks stylish, and the printed ones form the most elegant wear at parties and women’s get-to-gathers. Thus the range is humongous; Aavaranaa is undoubtedly the best spot for shopping of georgette sarees online in India. 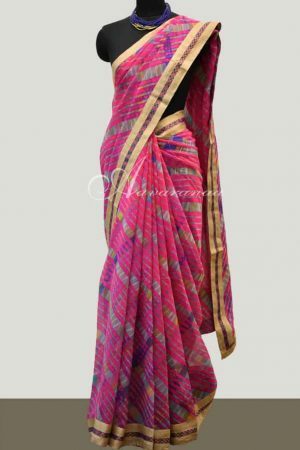 The sarees are available in brilliant colour combinations, making them completely fashionable. 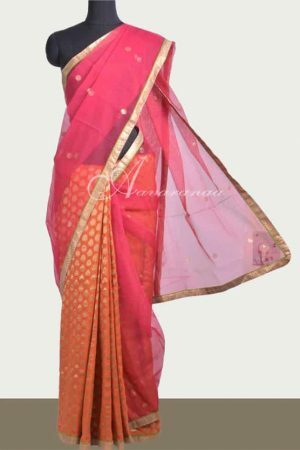 Look trendy; look stylish but traditional with Aavaranaa. Have an experience of georgette sarees online shopping, like never before!